From the fifth-floor reception area in McLane Stadium, visitors may easily see threads of the Baylor-Waco tapestry—campus, downtown, the Baylor Research and Innovation Collaborative, and development springing up and extending from I-35. The sweeping vista provides a providential backdrop for the capstone moment of a life-shaping academic opportunity through Philanthropy and the Public Good, a unique Baylor class. Each 15-week course of Philanthropy and the Public Good [PPS 4310], culminates with the grant awards reception at the stadium. There, the students in the class are joined by representatives from local nonprofit organizations that will share more than $50,000 of grant money. Each organization is chosen by the class members following a rigorous process in which students essentially form a charitable foundation board of directors that winnows dozens of prospects to a handful of recipients. Philanthropy and the Public Good stands out among the offerings at a University that prizes hands-on leadership and service opportunities in and out of the classroom. Students face real choices and the responsibility incumbent with the charge to be good stewards of the resources they are provided—awarding more than $600,000 during the past five years. Philanthropy and the Public Good, also known throughout the campus and community as the Baylor Philanthropy Initiative, is found within the broader Baylor Philanthropy and Public Service Program in the University’s Honors College. Hogue teaches the course and is the director of the program. Founded in 1990, the program moved into the Baylor Honors College in 2014. The course is one of a number of other classes, many taught by community nonprofit leaders, designed to pair academic learning with pursuit of the public good. The premise is simple. 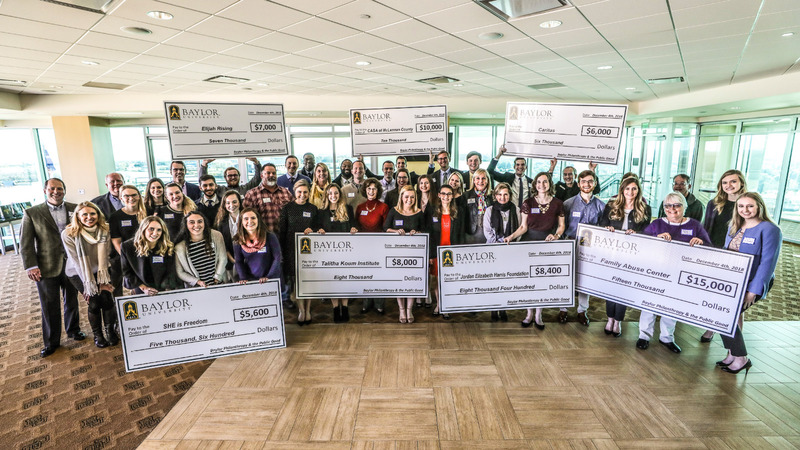 Donors provide more than $50,000 each semester for students to share with deserving organizations, most of which are in Waco. Students research, study and collaborate to collectively determine how to divide those funds among the nonprofit nominations. However, the process is less simple. By design, students quickly understand that the problems are endless, the worthy organizations seeking to address those issues are plentiful, and the students’ capacity—which is a generous sum of money to distribute—is finite. To guide students through the process, the class is divided into three phases. In the first phase, each student researches and nominates four deserving organizations and creates an organizational profile to inform fellow students. The 20-student class nominates 80 organizations, with that number quickly whittled down to 30 for additional consideration. In the second phase, students work in pairs to focus deeper research on three of the remaining 30 nonprofits. Students serve as program officers for their assigned organizations, and each pair writes a three-page report for the edification of their classmates. At the end of the second phase, 10 organizations are selected to advance in the consideration process. By the time students reach the third phase, they have reviewed financial analyses and other factors that demonstrate organizational success for the remaining nonprofits. It is in this phase that students move toward making the tangible decisions of determining who will receive the actual grants. Students conduct site visits of the remaining organizations either in person for local groups or via Skype interviews for those outside the city. Organizations share specifics about how grants would be used, and students then work to project whether those grants would be successful. Students produce eight-page briefing books for their assigned nonprofit for class consideration, followed by their de facto board of directors meetings. In an executive session that generally takes hours to complete, students divide and assign the money which is later presented in the grant awards reception. An average night sees six to 20 high school students visit The Cove, an organization that provides homeless youth in the Waco area a safe place to thrive. 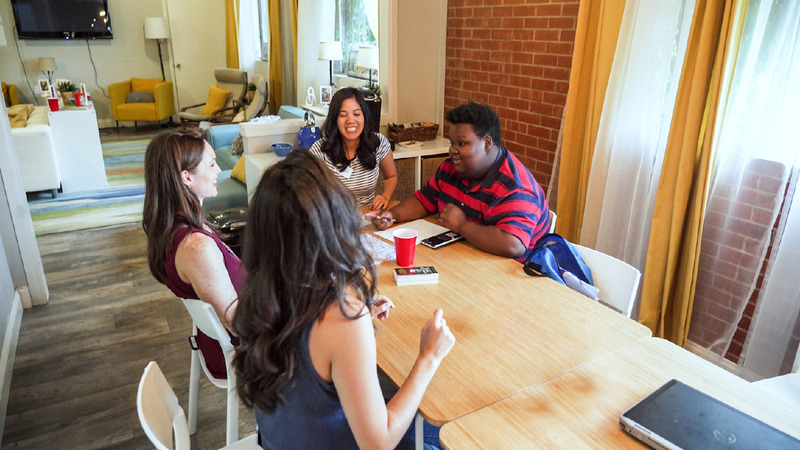 The Cove’s 3,200-square-foot facility in the heart of Waco is a welcoming environment to have a meal, to do homework, to hear from speakers and to interact with graduate student volunteers from Baylor’s Diana R. Garland School of Social Work. Most of all, it is a place to simply be a normal teenager. 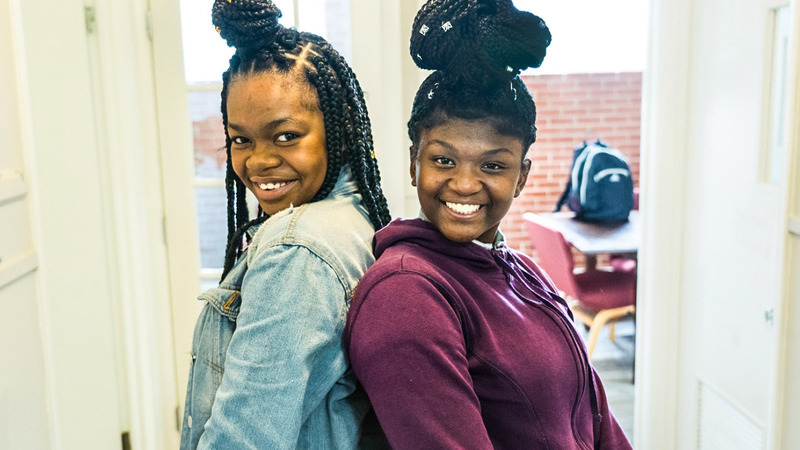 Hundreds of students who face precarious home situations discover The Cove is a place of stability and friendship—and the fingerprints of Philanthropy and the Public Good students are found throughout the organization. The Cove is on the roll call of Waco area nonprofits that have received at least one grant from the class. A few of the other beneficiaries include Caritas food pantry, The Advocacy Center, Take Heart Ministries, Waco Hispanic Center and REACH Therapeutic Riding Center. 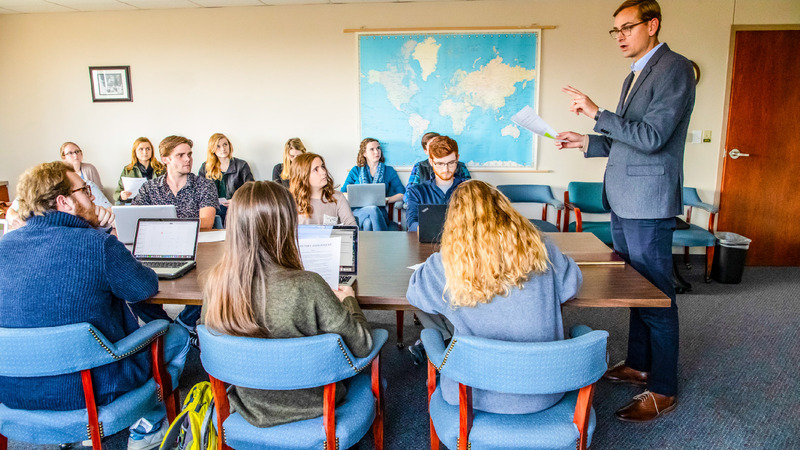 In 2016, The Cove was in its formative stages when they were connected with the class. The group’s budget was consumed by staff and facility expenses. A grant from Philanthropy and the Public Good filled in gaps and allowed The Cove to move forward. With 80 percent of its $250,000 annual budget funded by private donations, the ability to apply for and receive grants from the Philanthropy Initiative continues to be a meaningful income source for the nonprofit. A 2018 designation, for example, meant The Cove could chart a strategic path to provide housing solutions for youth who have no other place to go. Students, in turn, come away from the process with a new appreciation for the servants who address complex problems, such as youth homelessness, in a holistic and direct way. The process takes different forms for each student, including previously mentioned course particpants Rebecca Voth, Diana Castillo and Mark Richards. 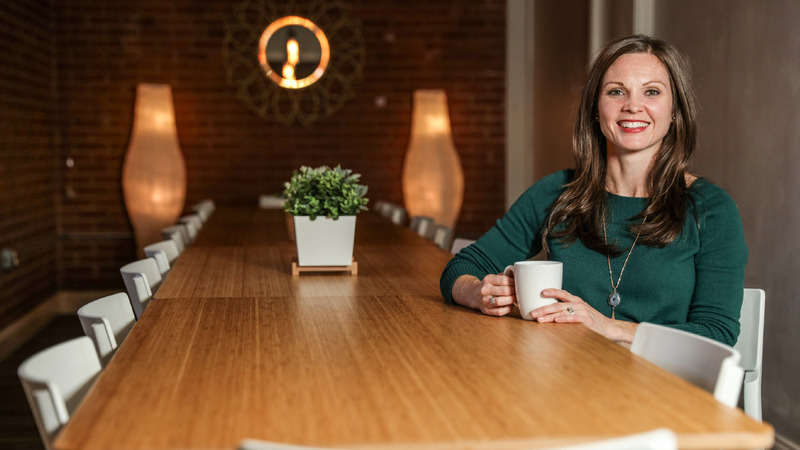 Voth began her journey in 2010 when the then high school student founded a nonprofit organization in her hometown of Rockwall. She joined with other competitive swimmers to create Splash Inc. with a mission to combat youth drownings by providing swimming education to Dallas-area children. At Baylor, she worked to help secure legal rights for Syrian and Central American refugees. After receiving a prestigious Fulbright English Teaching Assistantship last spring, she is teaching in Mexico City with plans to pursue law school at Pepperdine when her Fulbright experience concludes. She continues to be mindful of lessons learned in the Philanthropy Initiative. Castillo’s path incorporates her and her family’s experiences as refugees from Colombia. She lived in Florida and then Texas, where she came to Baylor as a first-generation American college student. After graduation in 2017, she stayed in Waco as an admissions analyst in the Baylor Interdisciplinary Core. Her philanthropy experience gave rise to a passion for the community she’s come to call home. Richards’ destination after graduation in spring 2019 is Chicago, where he will begin a management consulting position with Accenture. Amid the excitement of a new job in a new city, he is anchored by a long-term vision of what a career can mean for himself and his future family and neighbors. “One thing I learned from the course is that the money I make is not just God’s blessing, but it is actually His money,” Richards says. “I ought not to think first of what I can spend, but what I can do to impact the Kingdom and society as well. We’re all cogs in the wheel of a larger process, just like we were in the class. Donors provide the fuel that allows the Baylor Philanthropy Initiative (BPI) to offer true-life exeperiences that ignite generosity and stewardship in the next generation. Among those donors are husband and wife Mark Leyerle, BBA ’87, and Shannon Leyerle, BA ’87. To learn more about or to give to the Baylor Philanthropy Initiative, visit baylor.edu/philanthropy or contact Hope_Loomis@baylor.edu.